Last week, Tesla announced plans to cut the prices of eight of its vehicle models. That’s great news if you’re looking to buy a Tesla. But not-so-great if you already own one. Some owners saw the value of their EVs decrease by tens of thousands of dollars overnight, leading to a slew of Tesla protests overseas — and the outrage could hurt Tesla’s chances of success in the world’s most promising EV market. On Thursday, Tesla announced that it was finally selling a long-promised $35,000 Model 3. In addition to that price reduction, the company also cut the starting prices of its Model S and Model X vehicles by $12,000 to $18,000, and other versions of the vehicles saw their prices decrease by up to $18,000. That’s nothing compared to the impact of the new pricing on some overseas markets, though. According to an article by Electrek, some Model S and Model X vehicles now cost more than $30,000 less, and in Taiwan, the price of the Model S P100D dropped by almost $100,000. Upset that Tesla cut the value of their vehicles overnight, some owners began railing against the company through social media. Some owners posted banners critical of the new prices at Tesla’s physical stores, while others staged in-person protests at the company’s Supercharger stations. Various experts have predicted explosive growth for China’s EV market in the near future — some believe the nation will account for 50 percent of all EV sales by 2025. Solidifying a place as a leader in that market could be huge for Tesla, and just a few days before the pricing announcement, The Global Times published a piece noting how Tesla’s future in China looked bright thanks to the nation’s growing middle class. However, if these protests lead to any sort of anti-Tesla sentiment in China, the company could lose its momentum in the country long before then. 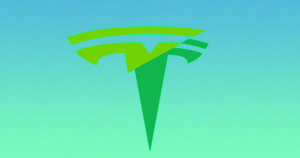 The post Tesla Owners Are Enraged That the Company Cut Its Prices appeared first on Futurism.